Liskow & Lewis is proud to congratulate Larry Simon. Liskow & Lewis is proud to announce a firm attorney of forty-six years, Lawrence P. Simon, has been elected into the Lafayette Bar Association Hall of Fame. Inclusion in the Lafayette Bar Association Hall of Fame is intended to recognize an exemplary career as an attorney, dedicated service to the community, and participation in the Bar. 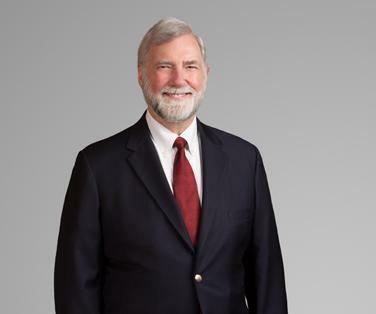 Larry graduated from Tulane Law School in 1972 and has practiced law with Liskow & Lewis in the firm’s Lafayette office for the past forty-six years. Litigation matters involving oil, gas and property issues are the focus of his practice. Larry has handled a wide variety of general commercial disputes in federal and state courts throughout Louisiana. His extensive experience in energy litigation cases covers each of the major substantive areas affecting the oil and gas industry. In his more than four decades of work, he has earned a reputation for cover-to-cover knowledge of the Mineral Code of Louisiana, particularly the historical background of its rules and regulations. Larry served in the U.S. Army Reserve for six years and attended the U.S. Army Intelligence School at Ft. Holabird. Prior to his law career, Larry received a theology degree from the Catholic University of Louvain in Belgium.